This quote, attributed to St Francis of Assisi, perfectly sums up our present Pope Francis’ pastoral attitude to ministry as he reminds us the Church is called to ‘incarnate’ or make physically present the love of God in our world. And this is really what lies at the heart of good pastoral ministry – the ability to bring the Gospel to life so deeply in our own lives that it revitalises or ‘re-humanises’ the lives of those around us. There are two elements involved in becoming gospel people. The first and most obvious concerns how we act in the world and the impact this has on the way we work and the people we work and interact with. 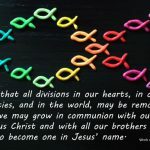 The second element is more foundational and concerns the internal movement of forming or shaping ourselves as certain sorts of people – which for Christian ministry means shaping ourselves as gospel people. This formation of ourselves opens us up to being more fully engaged with other people and, therefore, to becoming more fully human ourselves. So how can people prepare for the challenges that pastoral ministry within our Church presents? The Catholic Institute (TCI) was established by the Catholic Bishops of New Zealand as a national body to support their vision of an informed laity who are supported by qualified people working in ministry for the mission of the Church in the world. 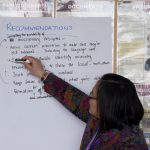 TCI has been commissioned by the bishops to provide accessible papers and qualifications for those engaged in Catholic ministry in every New Zealand diocese, whether it be in our Catholic schools and parishes, in the local hospitals and prisons, or with our young people and our Māori and Pasifika communities. TCI’s Diploma in Pastoral Leadership, along with the Launch Out formation programme, has become the cornerstone of the Lay Pastoral Leadership positions operating in many of our dioceses. And the smaller Certificates in Prison Ministry and Hospital Ministry have proven invaluable for those working in these challenging areas. Last year, TCI developed a new Certificate of Parish Life. 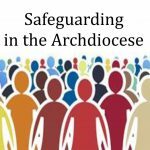 This comprises four papers that explore our Scriptures and Church teaching and still offer the opportunity to meet any specific local requirements identified by a particular diocese, ie support for the RCIA and parish sacramental programmes. Visit www.tci.ac.nz to read about our graduates’ experiences of studying for ministry with TCI and to find help to support you in your own ministry. Professor Anne Tuohy is the Director of The Catholic Institute of Aotearoa New Zealand. During the Second Vatican Council in order to renew and enrich the life of the contemporary Church the bishops looked at the practices and liturgies of the early Christian communities, and the adult catechumenate was restored back into the life of our Church. The Church’s Rite of Christian Initiation of Adults (RCIA) is now the norm for all who desire to become Catholic.